We’ve all seen it – some cat high up in a tree, on top of a refrigerator, walking across the top of a door or window. Long before we created the spaces for cats to climb it was built into their evolutionary DNA. Why do cats love being up high? At the same time, being in an elevated place increased the odds that the cat would not become someone else’s breakfast or dinner. Times have changed for our feline friends at Pet Camp’s Cat Safari but their need for heights has not. 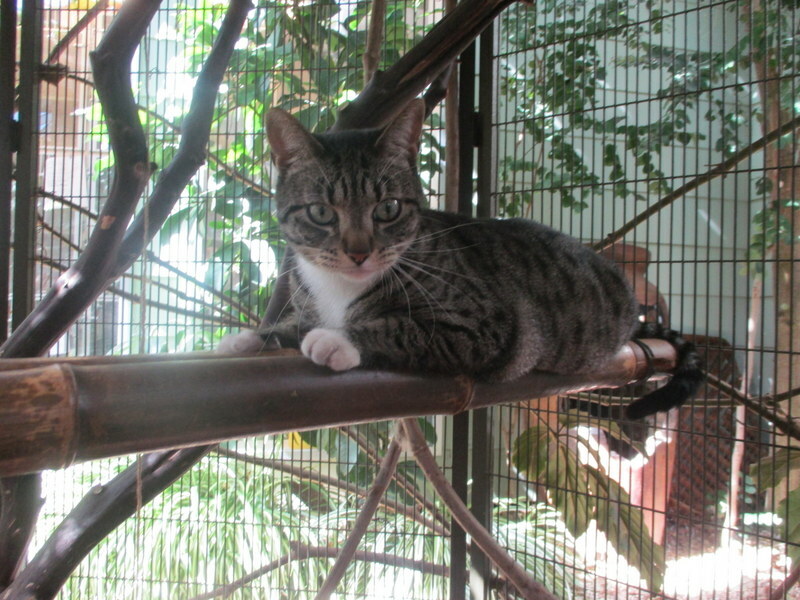 At Cat Safari we understand this evolutionary need for a cat to be able to explore vertical spaces. In each of our cat rooms there are cat trees with both vertical spaces to climb and nooks and crannies to both explore and make into a safe space. The window sills at our kitty boarding facility are both wide enough for a cat to enjoy a nap in the sun and high enough off the ground to create vertical space. Our tower aquariums allow cats to explore (or hunt/stalk) from a vertical position. We know that our cats don’t “need” to hunt or avoid being hunted, but we also know that cats still need to be cats and we think it’s important that a cat care facility be designed with your cat’s “needs” in mind. Are you a pet parent to a special feline? Check out all that Pet Camp Cat Safari has to offer your cat when it comes to overnight care (boarding or lodging), bathing, and if you’re a proud parent of a kitten our Kitten Kindergarten. If you’ve never had a chance to explore the Safari Solarium for yourself, please come over, say hi, and see all the reasons Pet Camp is the most award winning pet care facility in the Bay Area and our Cat Safari location is simply the best cat care around. Catzowey! My Kitty self loves the jungle at Cat Safari!